Clarice Starling, a gutsy FBI trainee haunted by her past, risks her life in an attempt to save a missing woman from certain death. The desperate, deadly search for a killer makes Clarice confront her deepest fears as she must confront and befriend convicted psychopathic serial killer Dr. Hannibal ‘the Cannibal’ Lechter, a monstrous brilliant psychiatrist, who can lead her to the murderer. 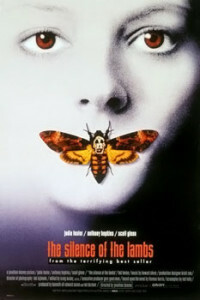 The Silence of the Lambs is adapted from Thomas Harris’s 1988 novel of the same name. The presence of a psychiatrist and a transvestite killer who wants to turn into a woman is inspired from the movie Dressed To Kill. The movie has the lines “No. We begin by coveting what we see every day. Don’t you feel eyes moving over your body, Clarice?” and the movie has some scenes where men are looking at Clarice and her body which is done so subtly. The movie has so many excellent scenes. Had posted some of the best scenes from the movie in the Scene of the Week thread a few years back. The best scene of the movie is Hannibal Lecter’s escape scene. Anthony Hopkins was excellent as Hannibal Lecter. Its definitely his career best performance and one of the greatest performances ever. He deservedly won the Oscar for Best Actor. Jodie Foster was excellent as Clarice Starling, the FBI trainee. She deservedly won an Oscar for Best Actress. Ted Levine was very good as Buffalo Bill. Scott Glenn was good as Jack Crawford. Anthony Heald was good as Dr. Frederick Chilton. The rest of the cast was good too. The Silence of the Lambs was nominated for 7 Oscars and is only the third film after It Happened One Night and One Flew Over the Cuckoo’s Nest to win Academy Awards in all the top five categories – Best Picture, Best Director, Best Actor, Best Actress and Best Adapted Screenplay. 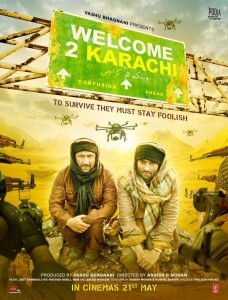 The movie deserved all the Oscars that it won and it should won Best Film Editing too over JFK. The Silence of the Lambs is excellent and even after so many years it still holds up and is as engrossing as ever. The The Silence of the Lambs is definitely one of the best movies ever.